When I got my 4 y.o. 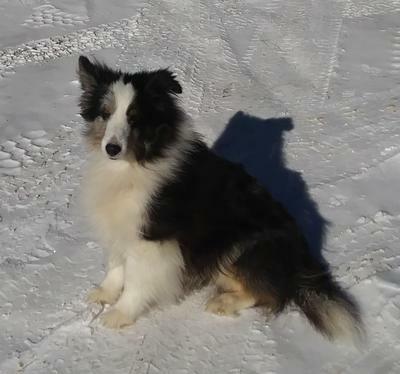 Sheltie from a friend who insisted I needed a dog, I knew he had strange spots and that he threw merle puppies, but I thought he just "carried the gene". 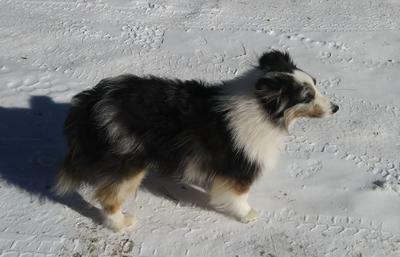 It was only later that I discovered that he is truly a Blue Merle "with Tri-Color bleeding through". There's so much tri-color that I'd have described him as Tri-Color with merle showing through. The only blue merles I'd seen were very light. I'm attaching a couple of pictures of Chance. Great name, too, as I decided to "take a chance on Chance" and I'm so happy I did. That picture exemplifies why I didn't know Chance was a blue Merle. 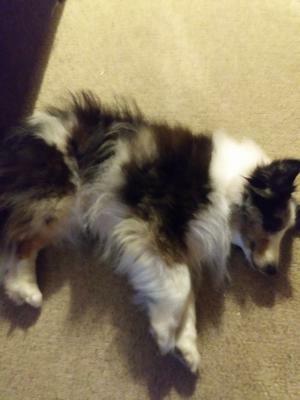 In fact, that picture and the explanation is what led me to Yankee-Shelties.